Soul rocking vocals with a passionate driving rhythm section! Holy Cow! Get the funk out! From the opening track, "Tobacco Road" to the closing, "Angel from Montgomery", the CD explodes with funk, soul and R&B. The CD is a perfect mix of covers and original tunes penned by Ms. Greco and through it all, a relentless groove is established by the robust rhythms of drummer Skip Fischer and bassist Earl Greco. 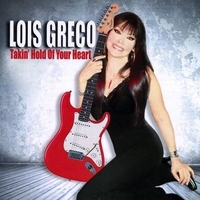 Last but not least, Lois Greco's vocals soar above it all. Buy the CD!!! You can feel the force of nature that is Greco’s voice! One of the best female vocalists on the scene today!